Welcome back to Day 30 of Freedom from Clutter in 40 Days. Only 10 more days to go! If you are tired of the burden of clutter in your home then this series is for you. Day by day we are getting rid of the items that weigh us down, slow us down, and get in the way of having time to spend with our families. There is nothing like the feeling of cooking in a clean and well-organized kitchen. However, much like the rest of your house, your kitchen can quickly become cluttered. This makes cooking much more difficult, especially if you are preparing meals in a hurry like most busy moms often do. 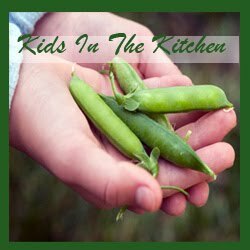 Nicole from Family Table Treasures is back today sharing her thoughts on Decluttering Your Refrigerator. 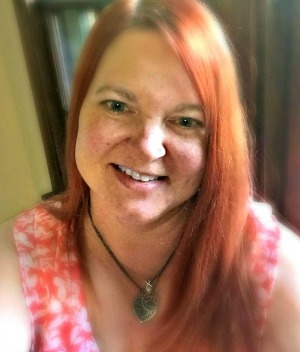 Make sure you read all of the way through to find out her secret to keeping her refrigerator working well for 24 years. I had no idea! What tips would you share for cleaning out the refrigerator and keeping it clutter-free? How often do you clean out your refrigerator? Are there other areas in your kitchen that you have trouble keeping clutter-free? Leave us a comment and let’s get the conversation going. Want more great tips? 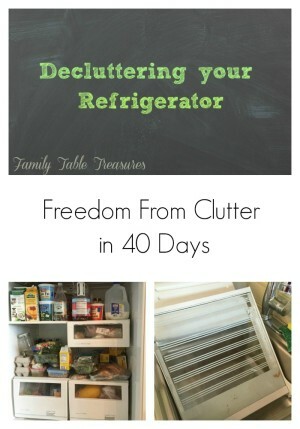 Keep reading the Freedom from Clutter in 40 Days series, by clicking the image below.